Rebecca D. Martin is an essayist and book reviewer in Southwest Virginia. She's also a wife and a mother, a reluctant meal planner, a relaxed home keeper, and an obsessively avid reader. Her work has been published in The Other Journal, Kinfolk Magazine, and The Lamppost, and she is a staff writer for The Curator. She writes about books and domestic culture at www.rebarit.blogspot.com. When longtime friend and fellow writer Carrie Allen Tipton and I get together to talk books, especially books with nuanced considerations of family and homemaking, we can’t say enough. So here are in-depth reviews of just two books that are on our shelves lately. We hope you enjoy them! Our bags were packed for vacation. Our small family prepared to set adrift and let the sand and waves and salted air breathe a simpler, richer life into us. I zipped the final duffle bag, sliding Anne Morrow Lindbergh’s Gift from the Sea into the top. Morrow Lindbergh knew what we were after: the “spontaneity of now; the vividness of here” that would strengthen our small family. 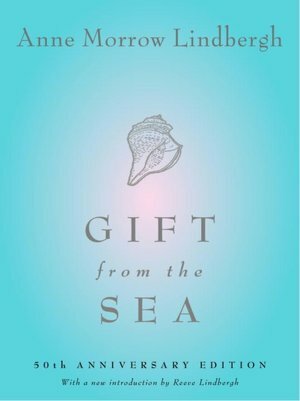 In this thin volume, organized by meditations on a handful of seashells (literal gifts from the sea), Morrow Lindbergh’s connections flow from an interesting 1950’s cultural critique to early Feminist philosophy to her own struggle maintaining a balanced, introspective life while housekeeping and caring for a family of seven. I hoped her thoughts about home and family, culture and womanhood, work and writing, nature and the sea would set my own thoughts on a good course for our beach week. I also approached Morrow Lindbergh with some reservation. Here was a complex woman. She lost her first child in a horrific kidnapping and murder. She married early Feminist thought with troublingly hardlined notions of feminine identity. Her husband was a mid-Twentieth Century aviation icon who held racist ideals disturbingly in line with the Nazis. In later life, both Anne and Charles admirably championed environmental protection and preservation. She learned to fly planes when other women merely stayed at home. She recognized staying at home to raise children as a choice, a noble one. This was a woman who had things to say. But did I want to hear them? I discovered I did. One of the significant and unexpected gifts I gleaned from this book was a sort of readerly humility, a willingness to keep listening to the end, whatever my responses page by page. And in the end, Anne Morrow Lindbergh was a person I genuinely liked, whether or not our worldviews aligned. There is a kindred understanding here. I feel challenged to return home to our normal-paced autumn life and consider how I might simplify (a slimmer Facebook newsfeed, for a start) – and how I might love my family better in the process. Yes, I’m glad Gift from the Sea made its way into my duffle bag, and I’m glad I could overcome some of my hastier judgments in order to glean some of Morrow Lindbergh’s sea gift insights for myself. Someone else will have to review this lovely book as a cook. I am reviewing it as a homesick southerner. 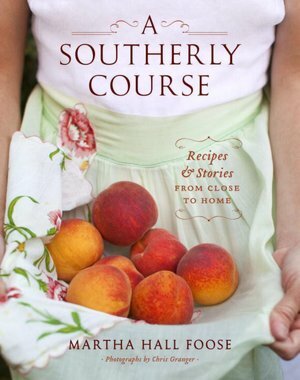 Martha Hall Foose’s recipes and stories emerge from her deep love of southern culture, a sentiment which I share and which remains a source of puzzlement to both of us. In the introduction, she muses over why southern foodways exert such a hold on her, profoundly realizing that “it is perhaps because we Southerners are homesick for the place in which we still live.” Her poignant longing for the very earth on which she stands connects with my own desire to stand there once again. Like Foose, I was raised in Mississippi; like her, I left to learn of the wider world; unlike her, I return now only in my mind and twice a year for holidays. But her book has helped me undo my own exile this summer, to come back home again. I first came to know Martha Hall Foose’s work at a cold Christmastime, the right time to snuggle under a quilt made by my great-grandmother in Arkansas in 1936 and read Screen Doors and Sweet Tea: Recipes and Tales from a Southern Cook. This, her first book, hooked me with its ingenious cocktail of stories, recipes, tidbits of culinary advice, photos, and mini-essays. I wasn’t the only one; it won the 2009 James Beard Award. The writing was elegant and funny and, thank heaven, deeply unconcerned with speed, ease, or health. The recipes called for mayonnaise and deep fryers, and celebrated regular afternoon libations. In A Southerly Course, published in 2011, Foose expanded on this successful formula. Marked by her blend of formality and informality, its dishes run the sociological spectrum from congealed salads for bridal luncheons to crawfish bread for tailgating. Its arrangement in five sections, corresponding to the courses of a proper dinner, emphasizes her formal training at the French pastry school École Lenôtre. Ingredients such as mirlitons, sweet potatoes, and crawfish highlight her fusion of indigenous southern staples with highfalutin’ techniques. Unconcerned with political correctness, the author draws heavily on the hunting culture of the Mississippi Delta, her childhood and now adult home. She speaks of a world of monogrammed serving utensils and ladies’ luncheon clubs. In her recipe for Custard Pie, dedicated to fellow Mississippian Eudora Welty, Foose said that Welty helped teach her that “you don’t have to leave the place that you love and know, that it is not a prerequisite that to understand home you must exile yourself to gain perspective.” For me, leaving birthed fresh perspective on the traditions, people, landscape, and culture that I grew up with a few states east of Texas, where I currently live—and which is most definitely not the South. A Southerly Course reminds me that though I may live in exile, there are many paths back, through word, image, palate, and most especially, through memory. And if I keep flipping through this book long enough, I might just try my hand at the crabmeat casserolettes. At least I can eat well while I long for home.